As Nyree Terry leaves EHS this week to take up the position of Palmerston Campus Administrator, she will be missed by many who have worked with her over the 21 years she has been with the faculty and University. “We have wonderful people on staff, who, regardless of their role, see that their main aim is to involve and develop the potential of our students”, Nyree said. “I am committed to young people and have enjoyed working as a mentor, arming young people with the skills and community values they need to succeed in life”, she said. Nyree’s new role will involve overseeing the administration for the Palmerston Campus, supporting staff in their work and focussing on continuing to build the Campus’ role in the community. 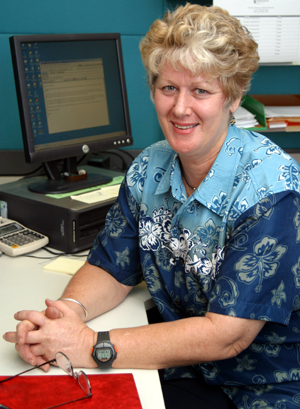 Nyree has had a huge variety of roles at the University since 1985. Her experience ranges from finance, operations, trainees and apprentices, post graduate and general faculty education administration. Nyree will start in her new position next week.